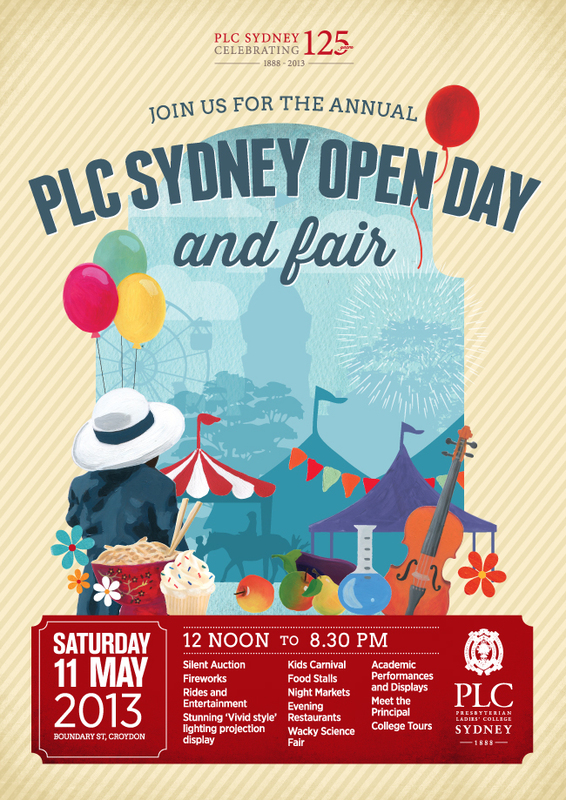 We've had so much fun over the last few weeks putting together the advertising for PLC Sydney's Open Day and Fair. This year as PLC celebrates 125 years, we introduced a classic, nostalgic, Australian theme for this beloved community event. We hand-painted a collection of visual assets, and the result was a beautiful range of posters and tickets which celebrates the school's rich heritage.